Amazing! I dread to think how much that cost to make? 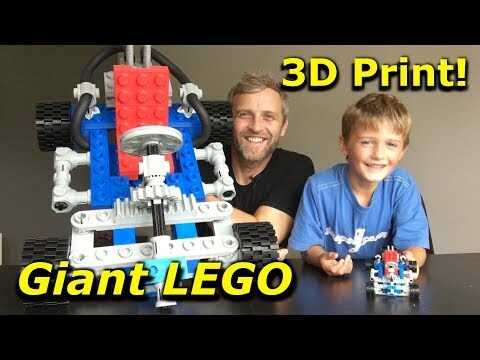 10x bigger (big enough to sit in) would be interesting, just to see if lego mechanics scale. For example, can a normal person actually steer a lego car when scaled up or does it require too much torque. Hi, It cost about £80 to £100 in materials. 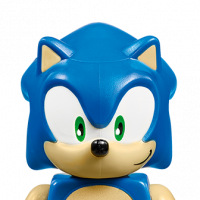 I think I could get him into an 8 x scale version, I think if the parts were at least 50% infill it would be strong enough, but very heavy. 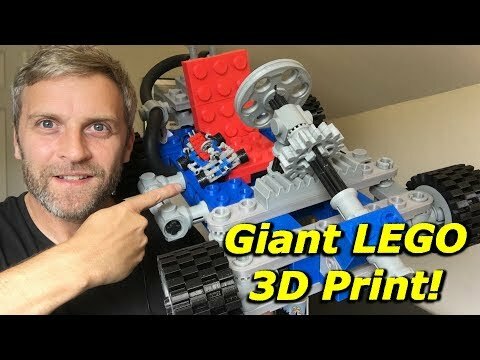 Here is the build video for my giant LEGO go-kart, this includes more details of how I printed it. Great video, very informative. Really nice work! That's very cool, thanks for sharing. Amazing build. Are you taking orders?! Whenso the scaled up mech coming? Excellent work and video. It's not often I watch YT videos all the way through but this was particularly informative. That is awesome. That would look amazing on the wall of my LEGO room! I would love to see it for real! Reuben has subsequently been to the opticians and now has glasses for reading!